In a world of terrific furniture and design options, finding the right stylish loft or bunk bed can be surprisingly difficult. 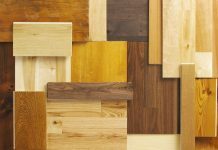 Space issues in your living situation can be tough, leading you to seek out interesting answers to them. A loft or bunk bed can be just what the doctor ordered in this regard, giving you ample room to move around as well as store clothes or other personals. 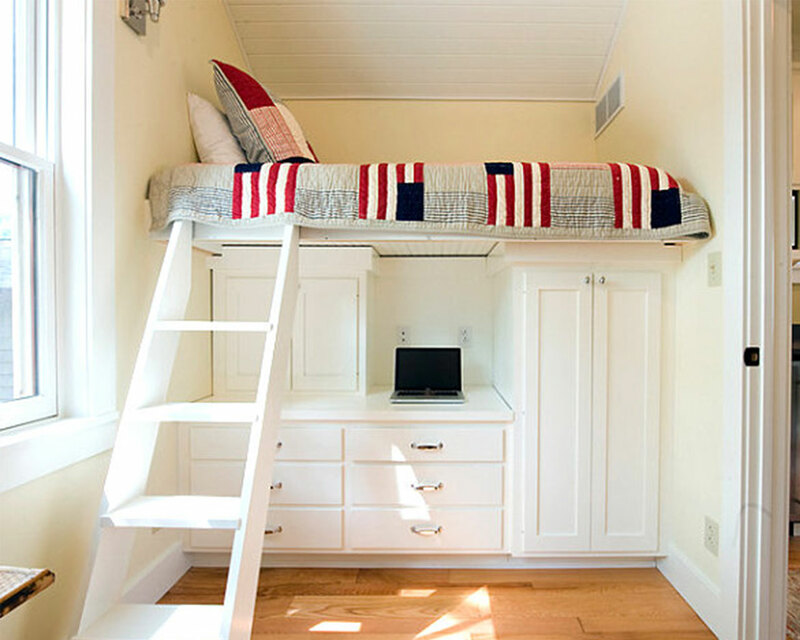 That is why we have put together a cool list of space-saving layouts to assist in guiding your quest for your own loft bed or perhaps your children’s bunk bed solution. Sufficient and ample space might be an issue faced by larger families crowded together in urban dwellings, but the existing furniture market offers a wealth of opportunities to have a well-designed kids’ room along with plenty of storage space and room for a restful, good night’s sleep. 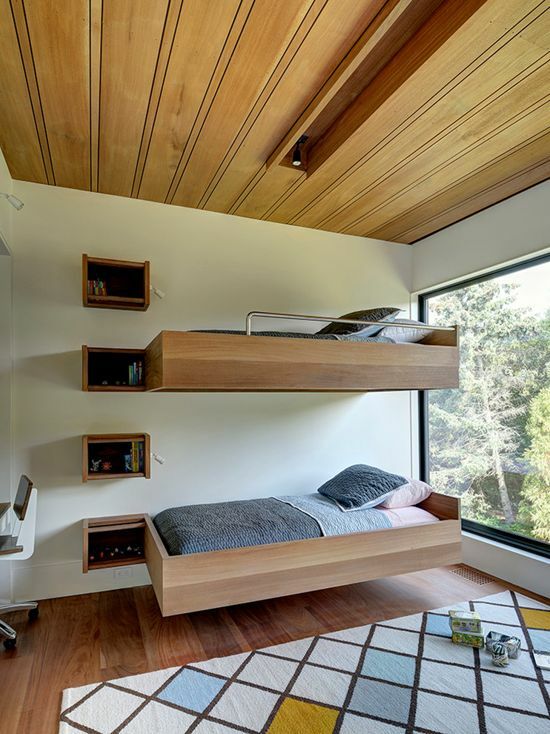 Each of the bunk beds shown in the photos of this article were designed to perfectly fit in smaller or bigger rooms, depending on the number of beds and the available space. Some bunk or loft beds are carefully secured with ropes, for a nautical result, others display a strong modern look combined with army inspiration. The photo above shows a baseball-inspired bedroom showcasing a fascinating contemporary bunk bed combining wood and green glossy storage spaces. 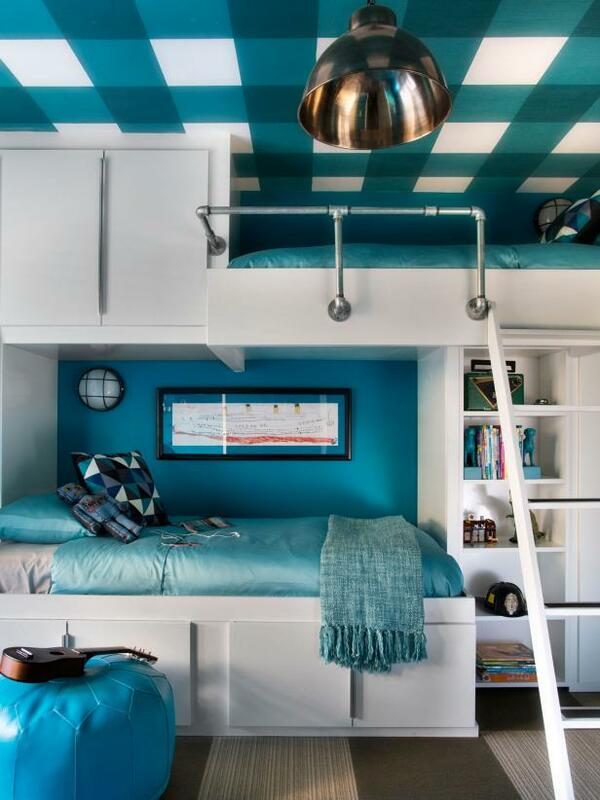 Some rooms display a tropical setting, other – heavenly clouds, but all of them were personalized with fresh-looking loft or bunk bed designs that the owners can take pride in. 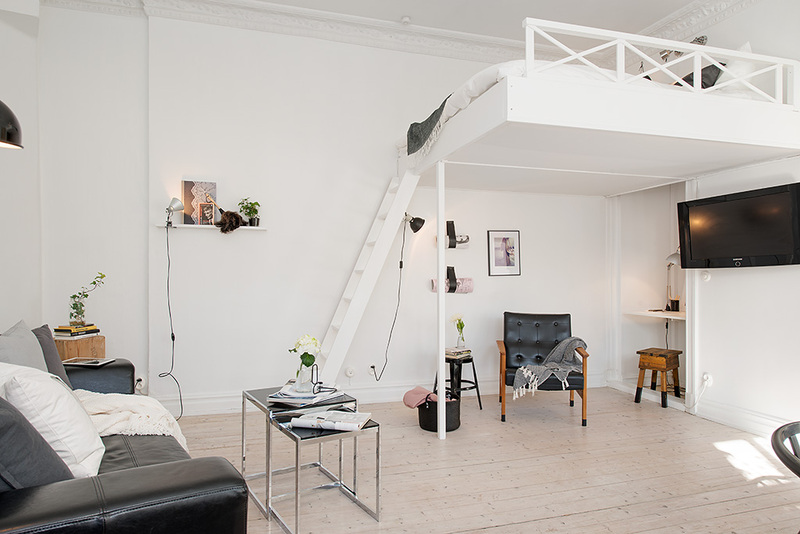 What would you say the best thing about loft beds is? Most certainly, it would have to do with how space-efficient they are. They let you save a lot of floor space and use it for a variety of other things. 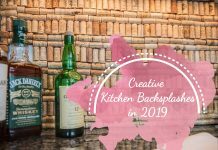 One of the best uses for those spaces is to turn them into a workspace. Though working under a lofted bed can be tough, finding the right lighting can always remedy that issue. If space allows, creating a home office specifically built for working at home is always preferable. Despite this, lofts beds with desk underneath are still gaining popularity every day (most likely due to overpopulation). 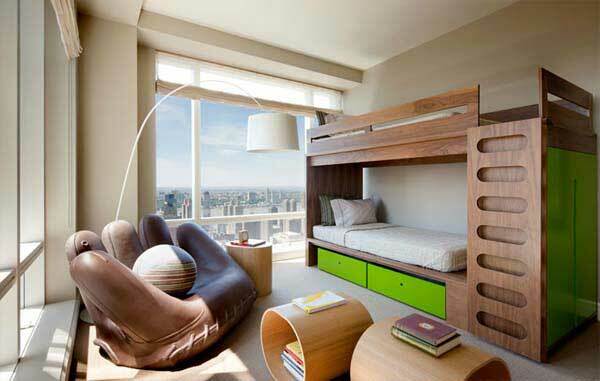 An amazing loft bed is much more than just a bed–it’s practically a furnished two-story apartment. At the bottom you’ll find the spacious study featuring a large desktop with handy storage. And from there, it’s just a short climb to the comfortable, secure, “second floor” loft. There’s no denying that getting your room set up properly with a loft bed can be a large-scale project, but you’ll find that it doesn’t have to be a big job with some design shortcuts. For ease of moving and assembly, look into RTA cabinets for storage in the free spaces. You build each in 20-25 minutes so they’re a breeze to put together. And if two beds work better for you, go fewer on the cabinets in favor of a second bed beneath.